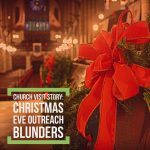 One reader put a challenge to me about whether or not a greeter ministry was appropriate in a church. Why have church greeters? 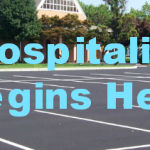 Since I teach and train on good hospitality practices such as greeter ministry and other church growth issues, it’s a question that I’ve been pushed to re-look at. Over the last few decades in the United States, the role of the church greeter has taken on a larger importance and has become a vital ministry expression of the local church. How did it get there? It’s one of those innovations that has stuck around and is now a cultural expectation in North America. It has been a ministry in the church for so long that its absence would be noteworthy. As I see it, the ministry of greeting is now an operating assumption, and it seems to have its roots in North American church growth movement, development of the consumer experience, and some biblical precedence. As I’ve thought more about the issue, one possible angle to answer this question is to examine the purpose of the church. Some traditions in the body of Christ argue that visible Church is the local expression of the invisible church, and as such, the church is only for believers. Flowing from their theology, the pastor preaches at the believers for the encouragement and edification of the church, and little effort is made to invite non-believers into the mix. If a non-believer makes it in, the preaching to the believers should be so convicting that the sinner repents anyway. The church is for church people and thus greeters are not necessary. Some other traditions would argue that the church is the best place where people searching for God might find a caring community of faith who can help them along in their discovery for God. Again, flowing from that theology, the pastor will mix up the preaching for both believers and seekers. 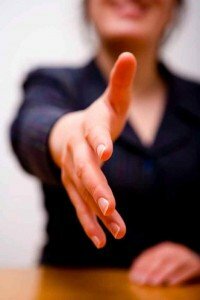 A lot of effort is made at helping people invite non-believers to the church. The church is for believers and non-believers alike on their journey towards Christ. Non-believers are welcome and encouraged to attend. Others still are so focused on reaching the unchurched, that some believers may be starving on the vine, so to speak. I’ve been part of a church plant that is aiming at this group. Believers from other places find their way to us, but don’t stay long because “we are not feeding them.” The only believers that stay in a church like this tend to have such an evangelistic vision that the church is not for them, but a life saving station for people who don’t yet know Christ. Those who come to faith stay with the church because that is their community and their new found faith often propels them to invite others. Church greeting as practiced today is not in Scripture. It’s not prohibited or explicitly commanded. The church in the book of Acts had not developed into the structures and forms we know today, and even in the New Testament letters, we get glimpses of some organization. In the Scriptures, we see the term ‘door keeper.’ The doorkeeper is the one who would open the door to permit people to enter, or keep the door closed to keep people out. Levites were doorkeepers to the ark (1 Chronicles 15:23-24). We see more stories of doorkeepers in 2 Kings 7:10-11, and 11:4-9. Their duties were to guard the city gates, temple, and large buildings. They were in charge of admitting or rejecting visitors. 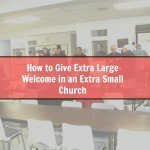 Church Greeters serve a vital function of expressing the welcome of Christ to those who enter your church building. It may be a simple smile and handshake. It may be eye contact while handing a person a church bulletin. It may be small talk and an offer of prayer after the service. Part of the purpose of a church greeter is to help prepare the way for a person to encounter God in the worship service. A friendly smile might change a negative attitude. An expression of compassionate care might calm the nerves of stressed parents. A gentle welcome and genuine conversation may help people feel a sense of connection. While the simple action alone may not change the world, attentive greeters may help prepare the way for your visitor to hear more from the Lord. The internet is littered with stories of people who felt unwelcome in our churches. My twitter feed reveals all sorts of stupid things that church greeters say to make people feel awkward instead of welcome. Greeters serve a purpose of helping the uncomfortable feel a little more comfortable attending our churches if they are on their quest for the Lord. Church Greeters also help believers looking for a new home find a welcoming congregation. 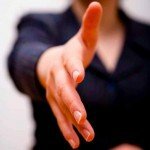 Do greeters serve a valid purpose in a church? If so, how would you explain it?